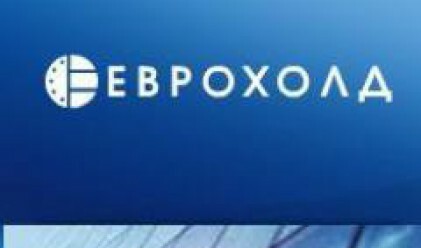 Eurohold Bulgaria ( ) presented prognoses for the company's development in the following three year during its annual meeting with investors held today. The holding expects consolidated revenues to reach 372 mln leva (190.2 mln euros) this year, 481 mln leva (245.9 mln euros) next year and 627 mln leva (320.5 mln euros) in 2010. Last year, by comparison, consolidated revenue stood at 263 mln leva (134.4 mln euros). The management expect profit to increase significantly, reaching 33 mln leva (16.8 mln euros) this year, versus 25 mln leva (12.7 mln euros) last year. 2009 earnings are seen at 49 mln leva (25.05 mln euros), and 2010 at 68 mln leva (34.7 mln euros). The holding's Romanian units are also expected realize significant growth. According to the forecasts, Euroins Romania will double premium income this year to 45 mln euros, compared with 27.8 mln euros in 2007. Net profit is estimated at 500,000 euros, against 80,000 euros last year. Etropal expects to book revenues in the amount of 19.73 mln leva (10 mln euros), compared with 14.86 mln leva last year. Net profit is seen at 2.68 mln leva (1.37 mln euros), versus 1.71 mln leva a year ago. We remind that Eurohold Bulgaria posted net consolidated profit of 82.6 mln leva (42.2 mln euros) last year, 79.7 mln leva (40.7 mln euros) of which coming from the units in the group. 57.7 mln leva (29.5 mln euros) for the positive result came from the transfer of a stake in insurers Euroins Jsc and St. Nikola to the subsidiary Euroins Insurance Group (EIG). The subsidiary holding also includes Euroins Romania and Macedonian general insurer Macosped Osiguranje (acquired just a month ago at 7.3 mln euros). Not counting this transaction, the holding's consolidated profit stands at 24.9 mln leva (12.7 mln euros), of which 22 mln leva (11.2 mln euros) coming from the group's units. ProfitTV will present more information on the company's prognoses in a video report later today.